Another day, another blast from the past and a reminder of the must-have technologies of the present from adidas Originals. 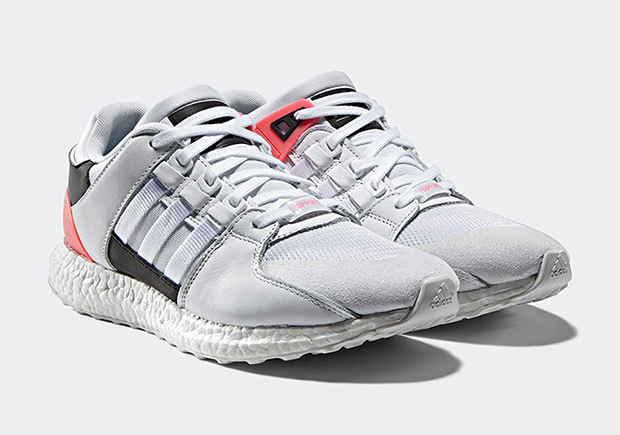 While we don’t see anyone being all Ultra Boosted out anytime soon, it’s always nice to add some variation to your weekly rotation, and what better way to do it than with a model that features the patented full-length Boost midsole with an iconic upper in the adidas EQT Support Boost 93-16? 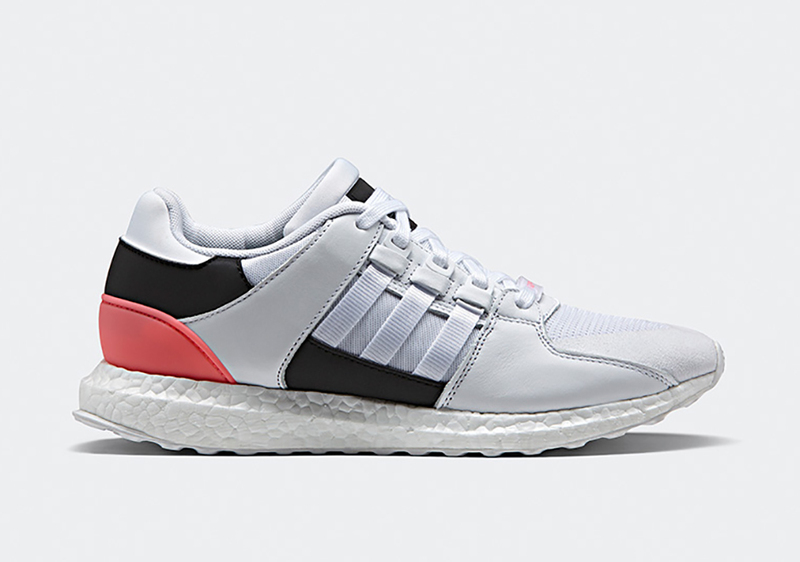 Today we get a look at the coming adidas EQT Boost 93-16 featuring that vibrant Turbo Red shade atop a premium white tonal upper. Touches of sports mesh, leather, nylon, and suede add a vintage effect with a modernized twist to this contemporary model that’s the perfect combination of subtle yet flashy thanks to that Air Tech Challenge-esque ‘Turbo Red’ hue. The adidas EQT Boost 93/17 “White/Turbo Red” is headed to retailers on March 23rd, so expect this pair to release around the same time. Stay tuned for more Release Date info in the near future right here on Sneaker News.